Great bungalow type home with 2 bedrooms, and a den currently being used as a 3rd bedroom. Fantastic views from the back porch, and upstairs deck off the Master Suite. Master Suite, has large walk-in closet, full bath, and spacious bedroom with extra storage. Additional storage for outdoor item under the back porch. Kitchen features modern built-in range top, and wall oven. All appliances included.This property is on the paved road minutes to town. 1 acre of privacy, with no homes on adjoining properties. Wood floors in downstairs, and kitchen island with lots of counter space. 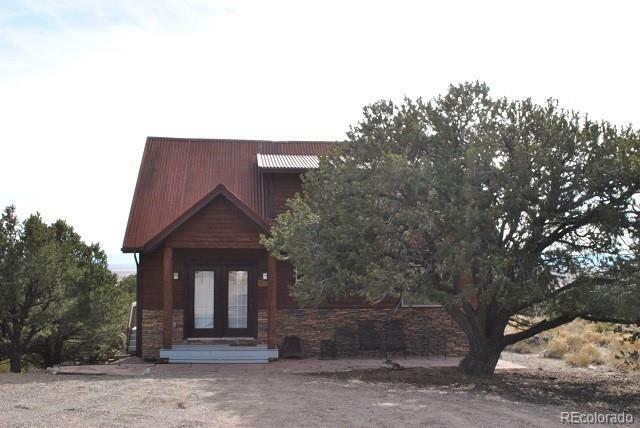 Mountains in the front view, and panoramic valley views from behind, round out this cute home.